I've got another Free Commercial Use pack for you with winter in mind. I don't know what it is like where you are, but here in Belgium, it is abysmal. It's been grey, windy and raining for months. We've not seen the sun in ages. Quite the change from where I grew up in sunny Florida. Perhaps the snow if falling and you're sitting close to a cracking fire. Maybe you're on the other side of the planet, enjoying a bit of warm sunshine. Either way, I'm really glad you've stopped by. Here's this month's new goodies. This freebie is no longer available. Don't let that put you off, though. Visit more recent blogs and see what's still live. 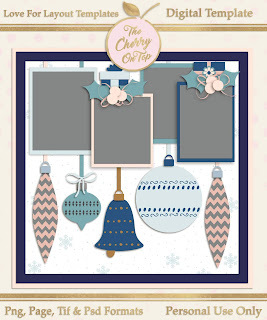 You'll receive three, chilly windy swirls, a fun, whimsical snowy frame and my favorite, a snowy blustery paper overlay. Download here or by clicking on the image. These were lasts month's goodies. If you don't want to miss out on our freebies, then you should totally sign up for our newsletter. It's a weekly letter that we keep short and sweet. We offer a lot of freebies and often share links to other freebies around DigiLand. Here is another example of a recent freebie. I've started an enormous collection to give away in our group this year with our monthly challenges. Go to the group, become a member and check out January's free portion. You are going to love it and it's just the start! When you participate in the challenges, you'll also receive bonus freebies that coordinate with the collection. These are the bonus goodies for January. Here is next month's freebie. You'll have to wait a few more weeks for it. I hope it entices you to join our fun, scrap-a-liscious group. 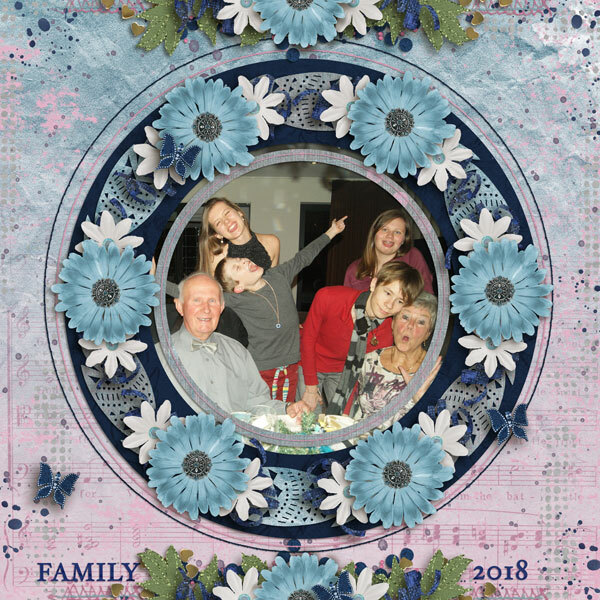 You can show off your fabulous pages and other crafty projects there. As you can see, I design digital templates too. Pop over to Friday's blog and check out our newest set, Birds Of A Feather as well as gorgeous page inspiration like these. 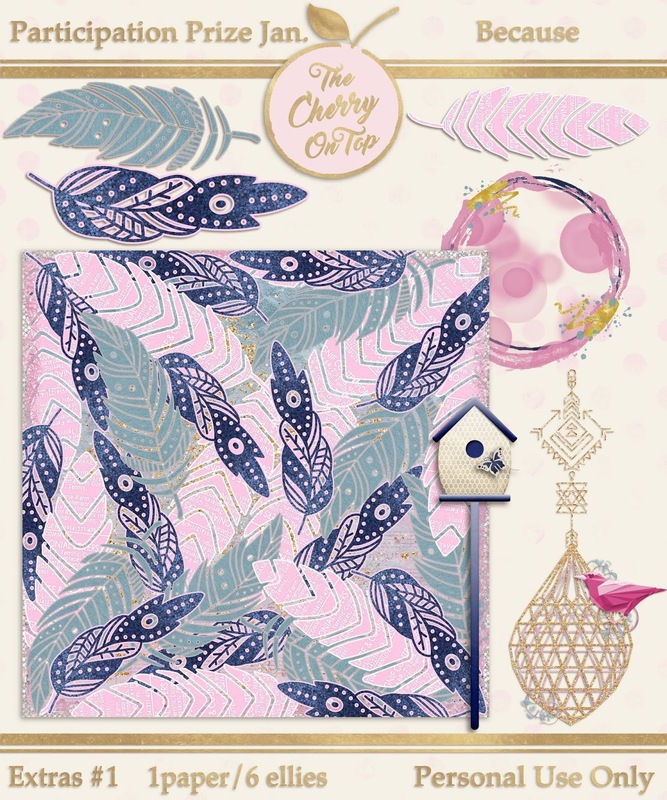 I thought I'd show off that you don't have to be put off by all of the pink in the freebie because there is a lot of other colors in there perfect for any kind of pictures you have. 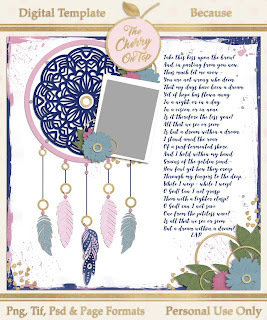 I also participate in the Love For Layout Templates blog hop. 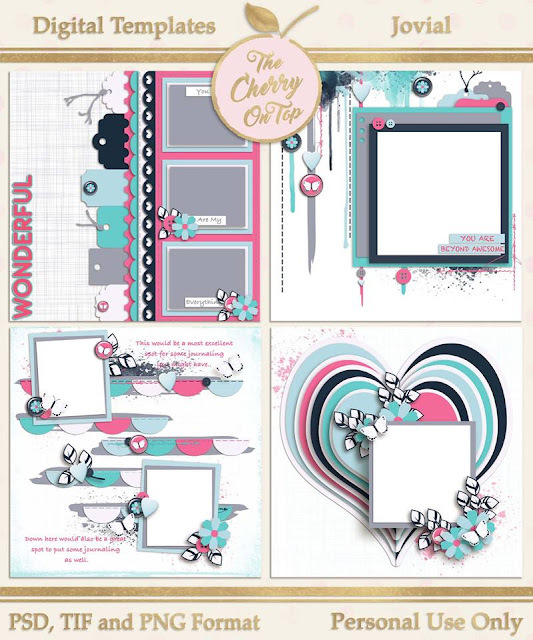 Here was my last free digital scrapbooking template. Another will be available in February. 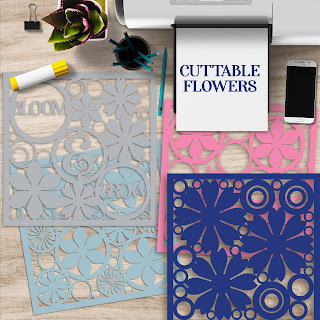 I also design cuttable products. Here's the newest set. Pop over to my Kreative Deign Studio to see more. Thanks so much for hopping here. I hope you'll return next month and join our Cherry family at all of our social spots. Find them in the side bar. Consider following our Free Commercial Use board and Free Digi Stuff on Pinterest, too!